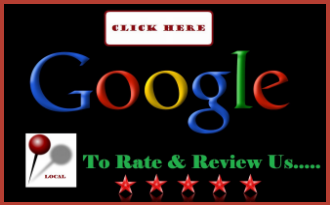 Air Supply Heating and Air Conditioning is a full service HVAC contractor that caters to the commercial and residential properties in the Greater Las Vegas, NV area. Being fully licensed and insured we are able to deliver professional services at affordable pricing. 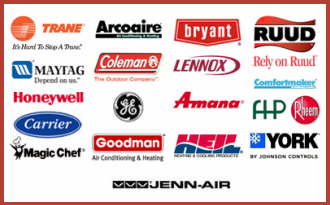 Our technicians are among the elite; having the training, experience, and talents to complete any of the services we offer and with the aid of high-end products and equipment exclusive to licensed professionals so that Air Supply Heating and Air Conditioning delivers superior results. 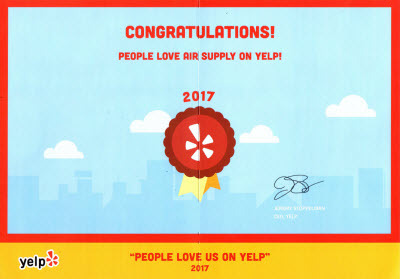 Air Supply Heating and Air Conditioning diligently serves our valued customers with every opportunity to give friendly customer service and professional courtesy in addition to our maximum efforts to ensure every experience with Air Supply Heating and Air Conditioning is extraordinary. 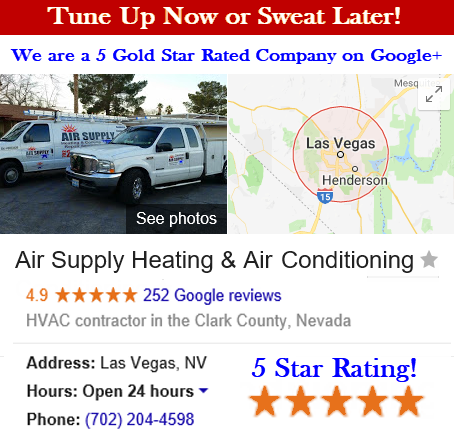 Air Supply Heating and Air Conditioning of Las Vegas, Nevada diligently extend services to our commercial and residential customers locally and in surrounding areas. In an effort to help our customers troubleshoot or simply relate the issues their units are facing, we relate how different components operate including the way furnace blower works. The furnace blower is the source of pressure that moves the air through the ducts and is contained in the furnace itself. The average residential furnace blower forms a static pressure; that is a push on the air that it moves, of 1/2-inch water column that equals to 1/56 -inch of a PSI. You can see that the blower really exerts very little pressure in comparison to inflating your bike tires with 1/56 -inch of a PSI. It is essential that the system be free from obstructions supplies and returns the air through the house. The furnace blower is commonly either belt-driven or direct-driven. The belt-driven blowers are easily identified due to the distinction of the motor’s location next to the fan where a belt and pulleys drive the fan. The motor is mounted inside the body of the fan looking neater with the direct-drive units. The shaft at the end of the motor drives the fan without the use direct-drive systems. Both blowers change speeds. By changing the pulley sheaves flanges the belt-driven fan speeds can be adjusted. The fan speed is typically a ¼ to ½ of the 3450rpm motor speed, which is the average motor speed. The direct-drive blowers may have from 1 to 6 speed settings as the blower and motor turn at the same speed. With the aid of separate wire terminals on the motor can be used to achieve different speeds. Blowers are an essential component to the furnace. Depending on the size of the furnace, the average range is from 1/4 to 3/4 horsepower. The blowers and motors of some units require routine lubrication. Lubrication is not needed on the units that have factory-sealed bearings. An air temperature rise of 70F to 100F across the heat exchanger is average on a conventional gas-fired, forced-air furnace. Most installers shoot for the low end of this on original installations. To deliver the appropriate temperature rise, the blower should be sized and adjusted. If the blower of your Las Vegas, Nevada Valley furnace is experiencing difficulty, Air Supply Heating and Air Conditioning is readily available to offer assistance. Contact us today.